Curtis is a partner practising in our Litigation Department. He has appeared in all levels of court in the Province of Manitoba. Born and raised in The Pas, Manitoba, Curtis went on to earn his Bachelor of Arts (BA) degree in 1995 and Doctor of Laws (JD) degree in 1998 from the University of Manitoba. 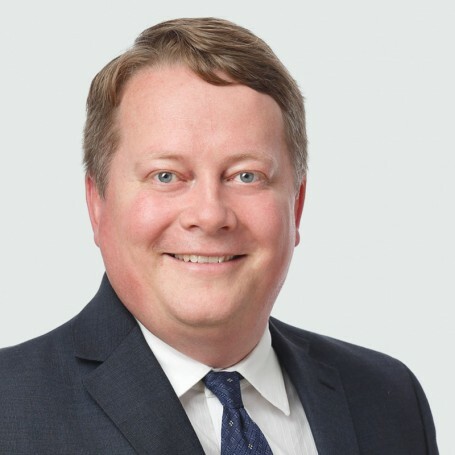 Since joining MLT Aikins LLP in 1998 (then known as Aikins, MacAulay & Thorvaldson LLP), Curtis has advised and defended clients on a wide range of fronts, including: civil litigation, commercial litigation, tax litigation, class action litigation, The Workplace Safety & Health Act, the Criminal Code, the Pharmaceutical Act (Manitoba), the Food and Drugs Act (Canada), the Fisheries Act (Canada), the Metal Mining Effluent Regulations (Canada), the Forest Act, the Motor Vehicle Transport Act, the Commercial Vehicle Drivers Hours of Services Regulations, the Crown Lands Act, the Liquor Control Act and The Manitoba Liquor and Lotteries Corporation Act and Liquor and Gaming Control Act, along with criminal and regulatory matters with quasi-criminal consequences. Curtis provides a great deal of service to clients in the pharmacy health care sector and assists those clients in dealing with all issues relating to pharmaceutical regulation, policy and practice.